Underlining that although Turkey was once a democracy, it has entered a downward spiral into dictatorship, HRF said President Erdoğan is to blame for the shuttering of 149 media outlets, the closing of 2,099 schools and universities, the firing of more than 141,553 civil servants, the jailing of over 80,000 government critics and the arrest of some 319 journalists. 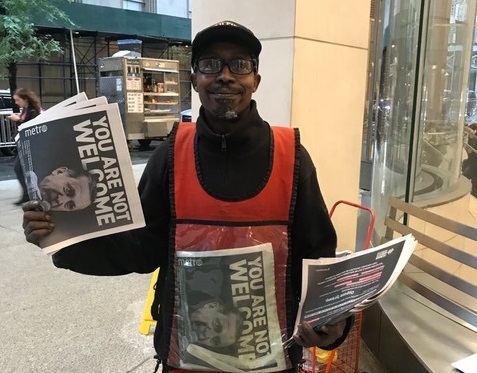 The New York-based Human Rights Foundation @HRF takes over the city’s subway newspaper to demand an end to President @RT_Erdogan's "brutal crackdown against anyone who opposes him." The suspension of the rule of law by the Turkish gov't produced thousands of victims. @HRF published 9 faces of "the greatest purge of the 21st century from Erdogan's Turkey."